Tesco has had national TV and press ads banned by the Advertising Standards Authority for the second time in less than a year, following a complaint from rival supermarket Asda. The ads, created by The Red Brick Road, ran in October last year and promoted a price comparison between products in store, based on Clubcard transactions in store on 28 September, compared with its nearest rival, Asda. The press ad included the copy: "... We include more than half of everything our customers buy"; and the TV ad stated: "Equivalent products compared, covering over half of our customers purchases." The ASA ruled that both ads were misleading, because Tesco listed more than 31,000 lines on Tesco.com, but only matched around 12,000 of those lines with Asda. The ASA also noted the reference to "baskets" in the ads was misleading, because Tesco could not match all the items in each basket and, in some cases, had matched only one item. The ASA stated that the press ad breached CAP Code clauses ‘truthfulness’ and ‘comparisons with identified competitors’. It also ruled that the TV ad was ambiguous and therefore misleading, breaching codes ‘misleading advertising’ and ‘comparative advertising’. Although Clearcast stated that the reference used to baskets in the TV ad was a visual representation of numbers of customers, not actual baskets of shopping, the ASA said that further substantiation was needed in the ad. 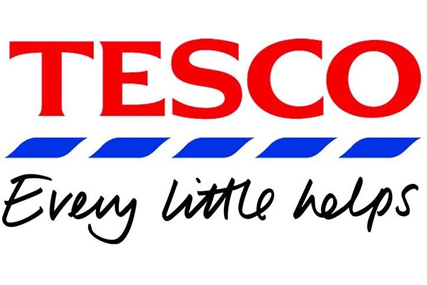 It ruled that Tesco broke codes ‘substantiation,’ ‘truthfulness’ and ‘comparisons with identified competitors’. As a result, both the TV and press ads must not appear again in their current form. Last July, Asda challenged comparison ads from Tesco, which resulted in the ASA banning the executions. A member of the public also challenged the claim that the ads compared 'like for like', believing they included comparisons of Tesco's promotional and own-label products, with Asda's everyday prices and branded products. In April, Asda introduced a price guarantee that promised grocery shoppers a refund if they found a better offer in their nearest competitors. A site enables shoppers to type in their receipt and check to see if their shop of eight or more products would have been cheaper at Tesco, Morrisons or Sainsbury's. If it is found to be cheaper elsewhere, Asda will refund the difference in the form of a voucher that can be redeemed in-store, plus one penny back for ‘good measure'.